Walk right out the front door and you have some of the best hiking in the area. 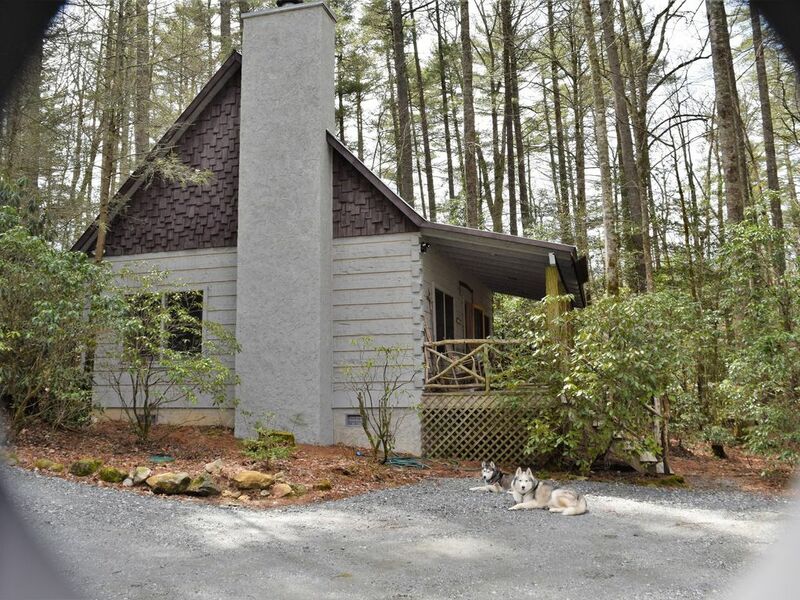 A log cabin, with an open living area, vaulted ceiling, one queen bed and full bath downstairs. Upstairs offers 2 twin beds with 1/2 bath and a sitting area. The kitchen is fully equipped also with a washer and dryer. The Gazebo is yours to relax and use for gatherings, it has plenty of seating and has a gas grill. The area of Cashiers offers waterfalls, panoramic views, and great hiking. Here you can enjoy a private mountain getaway or an action-packed adventure. Mountain biking, fishing, whitewater rafting, horseback riding, golf, and snow tubing here in Cashiers.